Valley Central High School held its fifty-third annual Commencement for the Class of 2011 on the school's Athlectic Field in Montgomery, NY on Saturday, June 25, 2011. 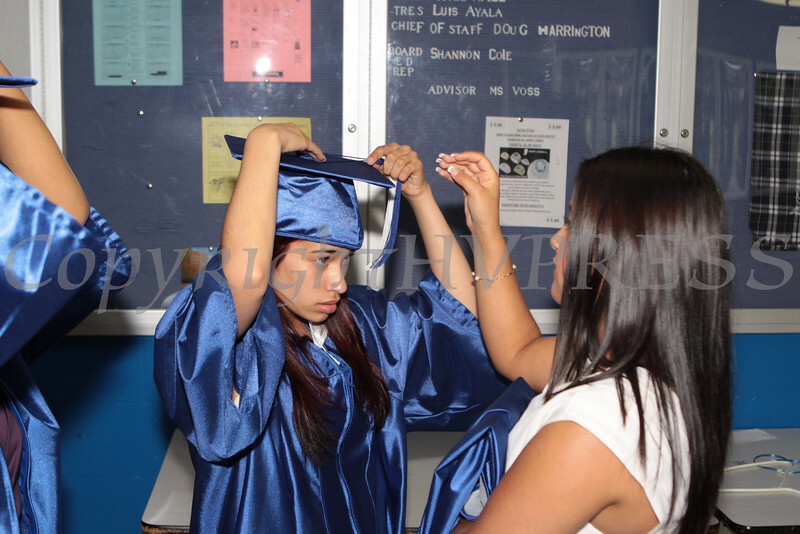 Members of the Valley Central High School Class of 2011 help each other with their caps prior to Commencement on the school's Athlectic Field in Montgomery, NY on Saturday, June 25, 2011. Hudson Valley Press/CHUCK STEWART, JR.